Information on the benefits of becoming a full Club Member, and the current contents of Club Membership Packs. Cliosport was founded in the year 2000 by a group of Clio owners who had evolved around the website of a Clio owner which contained basic information about his car. In the following months a forum was added and in October 2000 it was decided to set up a club around the website. ClioSport.net was born! Over the following 10 years there have been many changes with the website continually evolving along with the Renault Clio range, and new generations of Clios and their owners joining to make up the ClioSport community. All visitors to the ClioSport.net website are of course welcomed free of charge. Whether you own a 1991 Clio 1.2 or 2017 RenaultSport Clio 220 Trophy, or even if you don't own a Clio at all, but have a keen interest in them, perhaps through past ownership or future intent, then we would like to invite you to join the thousands of members in our rapidly growing club. Take advantage of the wide range of benefits we offer to ClioSport Club Members, which are detailed below. 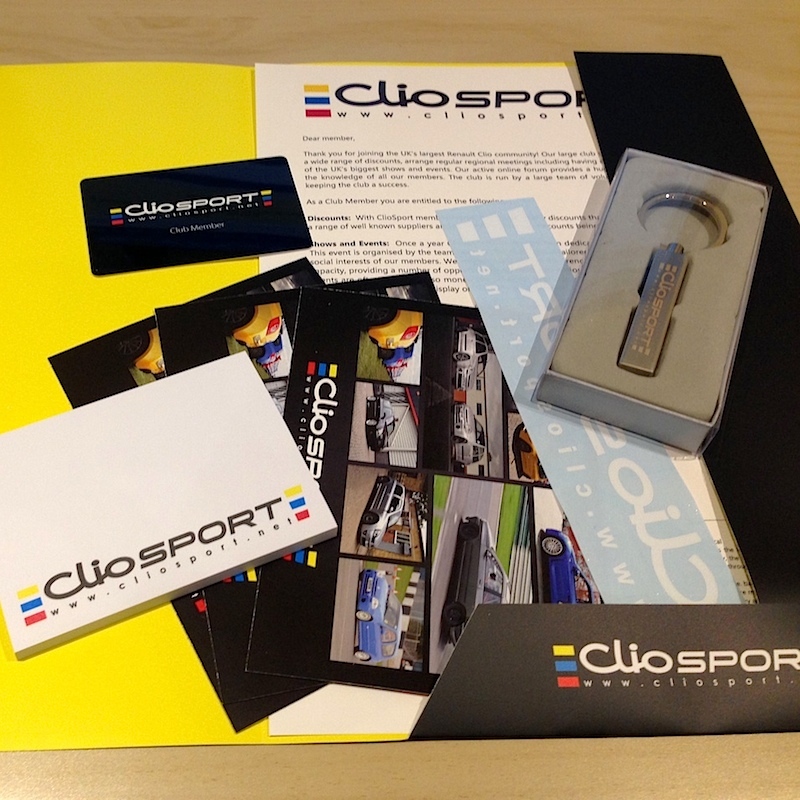 Joining ClioSport allows access to the many members-only sections of the forum. This includes full posting access to the Read-Only areas, and the ability to view numerous extra sections that are invisible to non-members. There are also additional benefits such as an enlarged private messaging capacity, user customisable avatars, higher visibility posts, and removed posting limitations. Becoming a club member will allow you access to exclusive member only discounts that we have negotiated with over 30 automotive related companies. These range from Tuining specialists to Parts suppliers to Insurance companies. Using just one of these discounts over the course of the year could easily offset the cost of membership, with many members claiming to have recovered the membership fee many times over thanks to our discounts. Members get exclusive access to a collection of over 150 'How To' guides and technical information for just about any job you may wish to carry out on your Clio. This area is constantly growing as more and more of our members carry out and document jobs and projects carried out on their vehicles. As a member you're able to add your own guides, ready to help out other members of the club in the future. ClioSport attends a number of major car shows throughout the year, and as a ClioSport Club Member, you are entitled to attend these shows as part of the club, with parking for your car on the club stand, and access to the clubs activities throughout the day. In 2011, Cliosport also started hosting its very own national show, ClioSport Saturday and this has now grown into the annual ClioSport Festival, a heavily subsidised social event for our Club Members. Through our network of local area club representatives, smaller scale events, meets, and social activites are organised all over the country. There is sure to be something going on near you, giving you the opportunity to meet other like minded people and their cars. Upon joining the club, or renewing your membership, you will also be mailed a personalised Club Membership Pack. There are two different packs to choose from which are detailed below. Although one pack has been tailored towards new members, and the other is regularly changed for renewing members, you are able and welcome to choose either pack when you purchase your membership. After the first year of membership, renewing members will continue to recieve all the same benefits as listed above, but at a reduced annual fee.